Cake Deposits are AWESOME!! The customer has decided to work with you and wants you to create a custom cake. AND you are getting P.A.I.D. For some cake designers, asking for money can be a touchy subject. Even when you are asking for money before the cake has even started. When I booked my first wedding cake order, I was OVER THE MOON EXCITED!! The credit card was swiped at the cake tasting, the order was in my calendar, and receiving the $225 (or so) for the cake deposit was the best feeling ever! Inside this post today, I want to talk all about cake deposits and help you be 100% crystal clear about cake deposit for your business. 1. Require between 30% - 50% Deposit for every cake you sell. When I started my cake business, I accepted 30% for years! It wasn’t too high or too low, I thought it was a fair deposit to place on a cake order. However, as my cake business started to grow, I wanted more money in my cake bank account NOW instead of waiting until the month before. So, I raised my deposit about to 50%. 50% is a fairly popular deposit amount for cake designers. Pick a percentage you feel great at charging right now. It may not be 50% right now, but choose a percentage and feel confident asking for that amount! 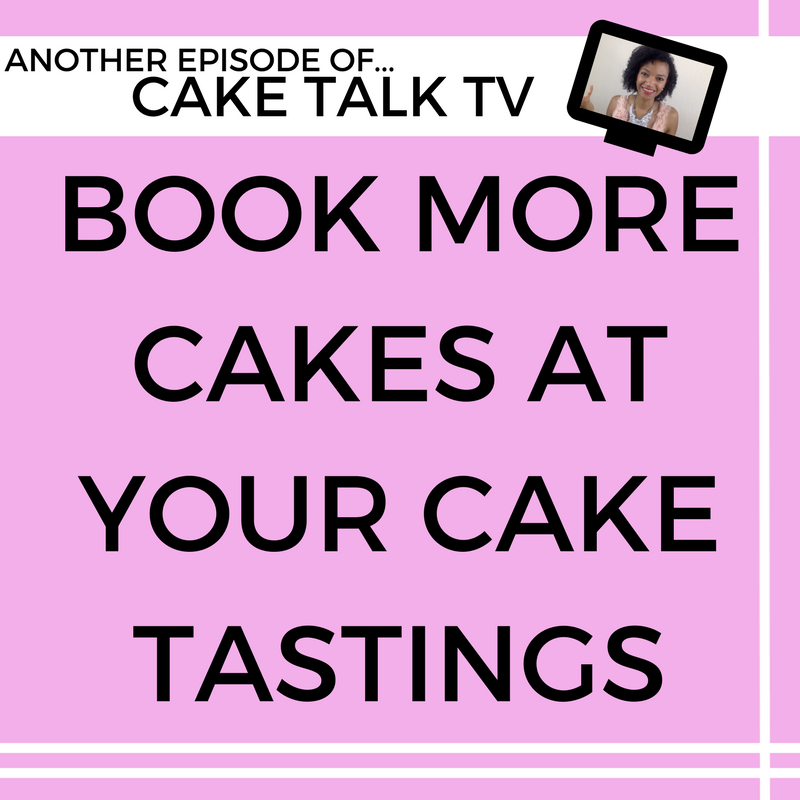 If you aren't too sure about pricing your cakes and knowing how to quote your clients at your cake tastings, grab my free checklist below to help you price your cakes for profits! 2. Require the remaining balance at least 30 days out. Some cake designers ask for the remaining balance 2 weeks out. I start working on my cake orders 1 month prior, purchasing ingredients, working on sugar flowers, etc. Some clients pay immediately at 30 days, some you have to ask over and over again. If they don’t pay immediately if you require the rest at 2 weeks, you will be very hesitate on working on the cake order because you have no idea if the client will pay the remaining amount. Try 30 days out from the event. 3. Put everything in a contract. If you don’t have a cake contract, let’s fix that ASAP because this will HELP you tremendously in your cake business. You can grab a set below! Grab the Cake Contract Here! 4. If they don’t pay their remaining deposit, cancel the order by a certain date and be FIRM. 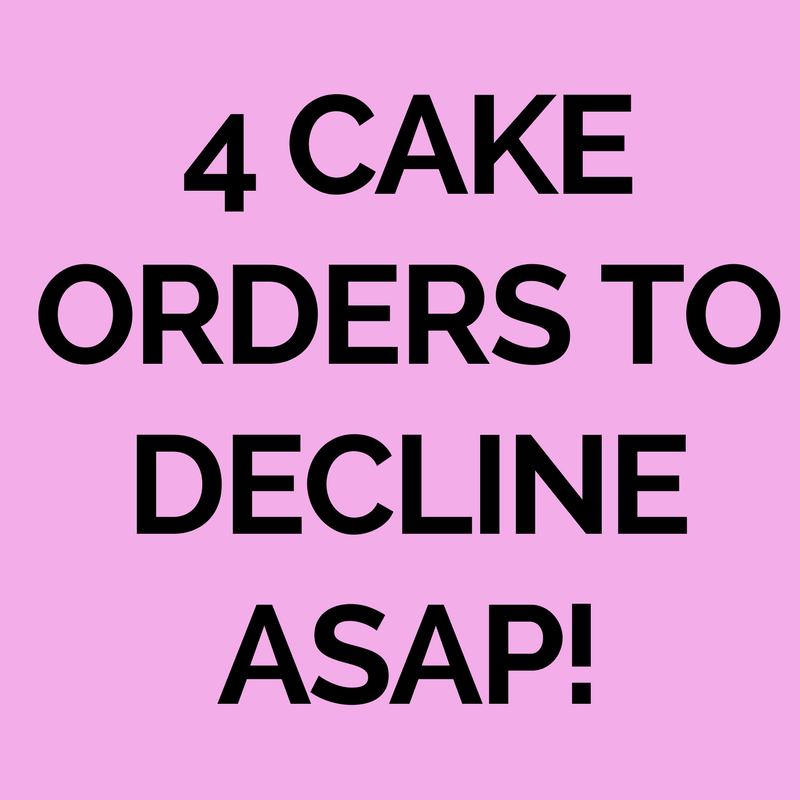 If the client doesn’t pay you the remaining amount, feel free to let them know when their order will be cancelled by a certain date, which also needs to be in the cake contract. Send reminders to your clients about paying their remaining balance but have no shame cancelling their cake order if they don’t pay. Not a fun cake hobby! I hope this post helped you to get clear on everything cake deposit related! If you don’t have a cake contract, grab a set here plus TONS of amazing cake business resources you NEED in your cake business ASAP! Do you handle cake deposits differently in your cake business? I’d love to hear them! Comment below your cake business practices?